The House passed a resolution on Tuesday which condemns Rep. Steve King (R-IA) and white supremacy after the Iowa congressman allegedly made racist comments to the New York Times, wondering how “white nationalism, white supremacy, and western civilization” became offensive. Rep. King disputes the Times’ report. The House passed the resolution H. Res. 41, 424-1, which was sponsored by Rep. James Clyburn (D-SC). Rep. Bobby Rush (D-IL) voted against the resolution; reportedly Rush wants to censure King. King could still face a congressional censure, which could serve as an additional form of the humiliation for the Iowa congressman. King inflamed controversy last week when he allegedly questioned in an interview with the New York Times why the terms “white nationalist, white supremacist, Western civilization” have become offensive. On Monday, House Minority Leader Kevin McCarthy (R-CA) announced that the Republican Steering Committee stripped King of all of his committee assignments during the current congressional term. “Steve’s remarks are beneath the dignity of the Party of Lincoln and the United States of America. His comments call into question whether he will treat all Americans equally, without regard for race and ethnicity,” McCarthy said. King released a statement on Monday contending that McCarthy’s actions undermined freedom of speech and that the New York Times misconstrued his statement. The Iowa congressman said that he did not condone white nationalism or white supremacy. “My record as a vocal advocate for West Civilization is nearly as full as my record in defense of Speech,” King said. 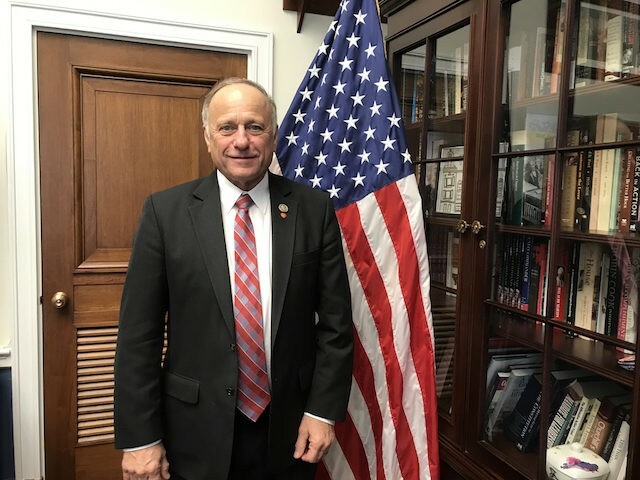 “I will continue to point out the truth and work with all the vigor that I have to represent 4th District Iowans for at least the next two years,” King added. Rep. Thomas Massie (R-KY) suggested in the last week that he has not heard King say anything racist and that he remains unsure whether he will condemn a man based on a New York Times article.